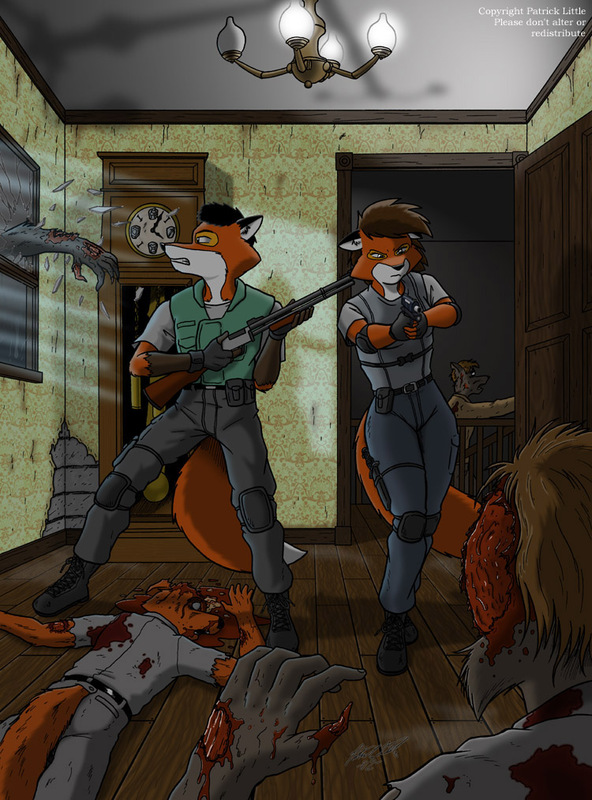 Color version of my Resident Evil/Biohazard inspired pic. This took me almost 30 hours to color, and I learned a LOT about Photoshop while doing it. My best work to date. Nick as a kid, playing on his Gameboy. Sometimes ideas for pictures just pop into my head and I can't stop them, this was one of those. My newest character, Nicholas. I'd talk about him here, but his profile's up in the Profiles section, ya know. Foxelia, leaning back and looking either seductive or sleepy, you decide. 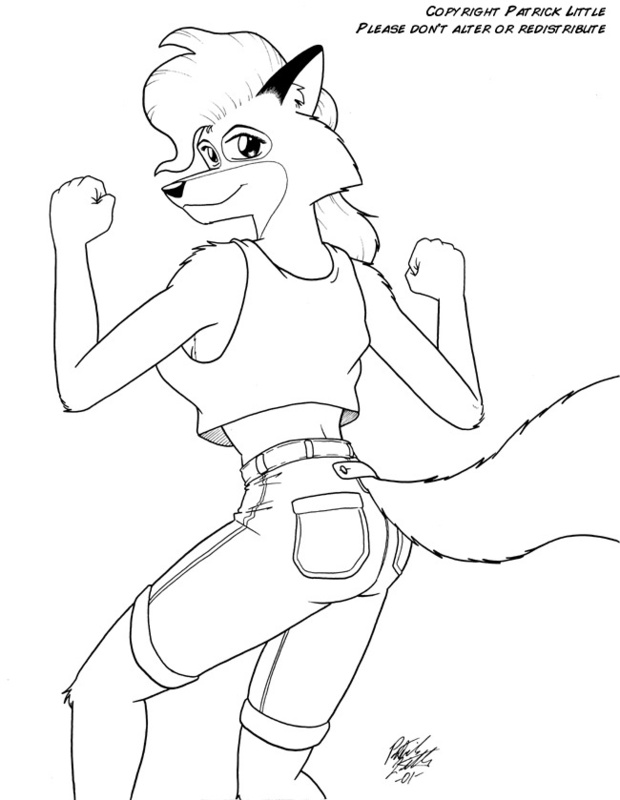 Foxelia, dancin' up a storm. Drew this while waiting for my car's brakes to be replaced in the Midas waiting area. 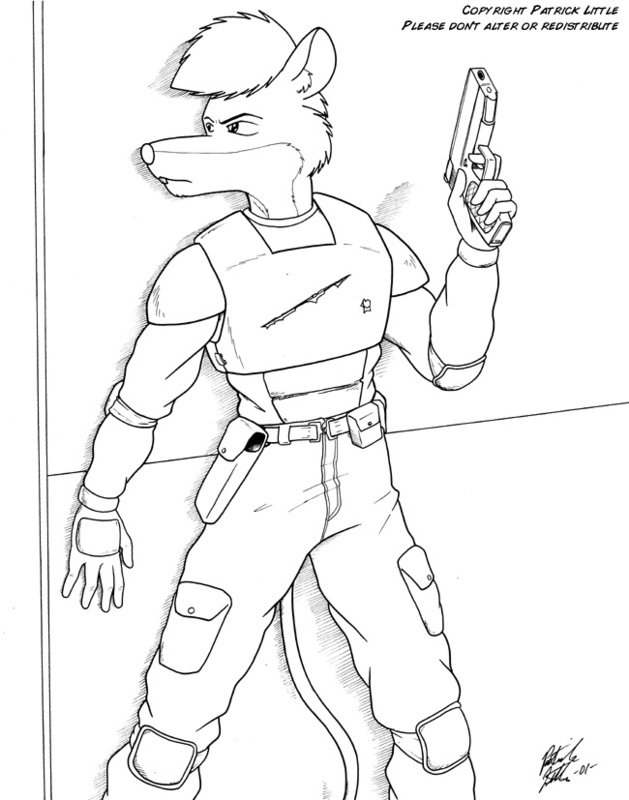 Jake, sneaking around a corner in a SWAT-esque body armor suit. Looks like he's already had a scuffle or two, though. Glaide again, this time wacked out on pixie sticks. I literally found him like this at Anthrocon 2001 in the hotel lobby. I recently picked up a copy of the Cowboy Bebop movie Knockin' on Heaven's Door. It's an incredible movie, and the villian somewhat inspired this fellow here (along with the art style in Giant Robo). My eventual comic with Jake and Foxelia will feature this guy, who I'm naming with the suggestion of a friend Thomas R. Hauser.